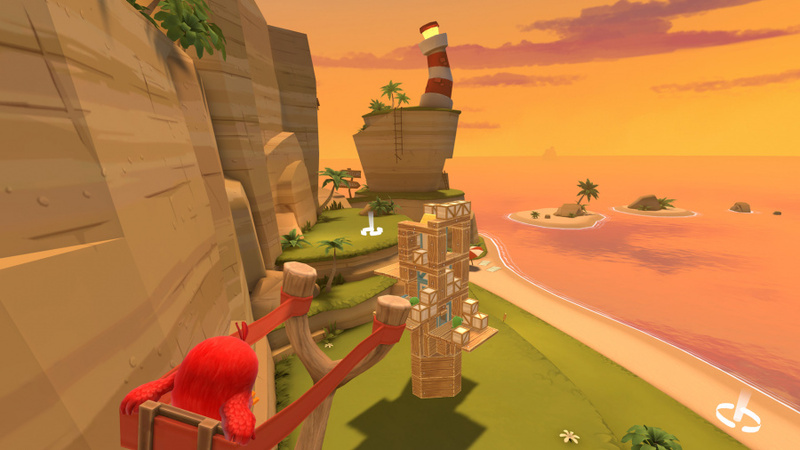 Angry Birds was a massive hit when it launched on mobile devices several years ago, and since then it has spawned many different spinoff titles, such as Star Wars, Transformers, Rio, etc. 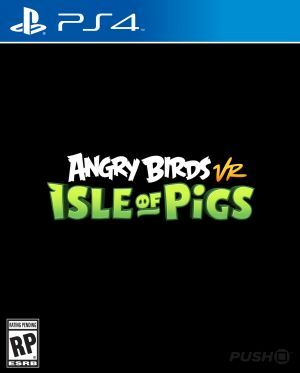 The latest of which, Angry Birds VR: Isle of Pigs, is a virtual reality experience available on PlayStation VR. 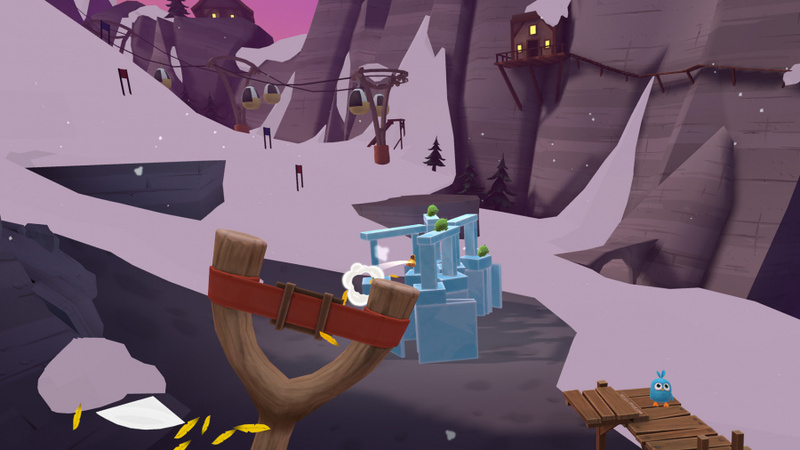 The game plays exactly as you’d expect, using the usual Angry Birds formula of launching birds from a catapult to topple precarious structures made of ice, wood, and stone in order to kill those pesky pigs. There are some slight alterations in the form of a 3D world; structures can now be attacked from all angles, giving you a much wider variety of places to target than in the 2D titles. 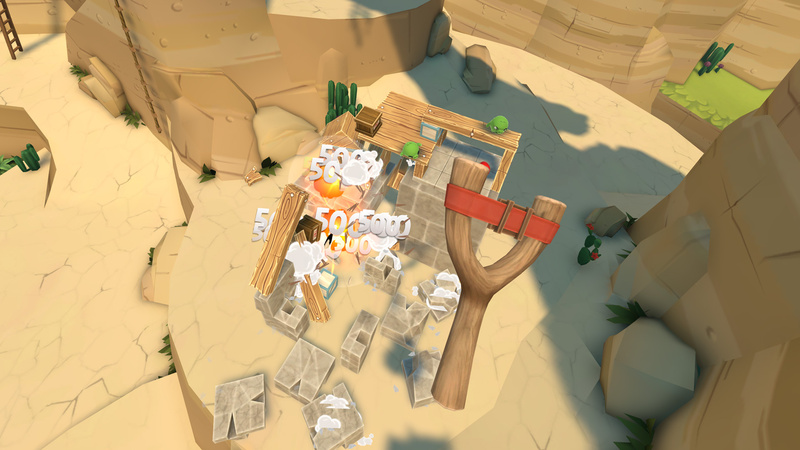 Also, you get to hold a slingshot to fire the birds from instead of using a catapult. This is controlled using two PlayStation Move controllers, which are a requirement to play the game -- one to aim and one to pull back and release. The aiming and tracking of the Move controllers feels very smooth and precise, allowing you to line-up and execute your shots with pinpoint accuracy. The variety of bird types return; standard red birds, exploding black birds, cluster bomb style blue birds, and yellow birds, which are faster and stronger against wood. These abilities are satisfying and fun to use, especially when you land the perfect shot to bring an entire structure crashing down to the ground. The entire experience is made up of 156 levels, which sounds like a fair amount, but in reality the majority of these levels will take mere seconds to pass, and the whole game can be completed in around 80 minutes. Although a short experience, the usual 3-star rating for levels returns, allowing for some replayability, but even then we often found ourselves getting all three stars on our first play through of the majority of levels. The content available won’t last you long, but it seems the developer is aware of this and has confirmed that more levels will be released in the near future. Whether this is paid DLC or completely free is still yet to be confirmed, but it's welcome nonetheless. One of the main reasons Angry Birds was so popular was because of its addictive nature. The way levels reset so quickly that if a mistake is made you can jump straight back in within the blink of an eye, and it’s no different here. Every level can be reset with the press of a single button and it loads almost instantly, keeping you occupied and not giving you any downtime plays to its addictive nature perfectly. You’ll hear yourself saying “just one more level,” and many stages later you’ll have finished the entire game. Visually the game is very simplistic, the textures of the blocks making up the structures are very plain and the environments feel very barren and uninteresting to look at. We would like to think this was done purposely to instead focus on reducing the load times to keep the player engaged, in which case the developer has done an excellent job. But in reality it just makes the game look a little unfinished, with little to no landscape details whatsoever. Although short lived, Angry Birds VR: Isle of Pigs is exactly what you’d expect from the title; a 3D version of Angry Birds that keeps the same formula and adapts it slightly to fit into virtual reality. The game runs smoothly and, although it looks simplistic and there’s nothing revolutionary about it, it’s an enjoyable experience all the same. If you were a fan of the 2D mobile games and are looking for more Angry Birds mayhem, this is well worth a shot. Do we have a price? Very important for something like this that could vary from anything like a tenner to £35. Would probably be interested at around £10-£12ish. Thank you. Well thats the sweet spot. They've priced it very fairly. It's great to see more and more big game developers testing VFR! I'm looking forward to trying this one out.